After passing the exam, I wanted to capture my thoughts on the Certified Cloud Security Professional (CCSP), the latest certification from (ISC)2 (known for the CISSP certification) and the Cloud Security Alliance. The CCSP certification is a vendor-nonspecific focus on cloud security, including infrastructure, risk management, cloud applications, legal and compliance. Like the CISSP, the syllabus is broad rather than deep and represents a good foundation in cloud security issues. The CCSP is best suited to junior or intermediate IT security staff working in cloud security, although junior staff may struggle with the sheer breadth without experience to ground it. It is also useful for senior IT security staff that would to move into the cloud quickly, people that delegate specifics to others (like IT security management and auditors) or those in related roles looking for a cloud security context (like architects). The CCSP is not intended to give technical or hands-on skills. This means the certification is not outdated quickly when the next product is released. However, candidates looking for hands-on skills common to junior or intermediate positions will need additional experience, training or certifications. The exam is 125 multiple choice questions in 4 hours, administered by computer at a testing center. The exam is quite new, with a few typographical and editing errors. There is a lot of reading and people with poor English or reading difficulties may struggle. The exam contains a mix of good questions, like scenarios asking for the best security control or first task, and less good ones, like examples of specific technologies. Scenario based questions require understanding a large body of information, extracting the relevant portions then making a decision. This mirrors the real world. Specific technology examples, while showing real world relevance, tend to date quickly and can be industry specific. In terms of training material, (ISC)2 provides a textbook , online training (live webinars) and self-paced training (recorded sessions). The (ISC)2 material is often the best method for determining the actual content of the exam as the outline is very high level. However, it is expensive, has more than a few editing errors and the activities/self tests could be improved. The recorded videos also need the option to play faster like YouTube or PluralSight because merely skipping can potentially miss important points. Looking ahead, cloud concepts and technology are changing rapidly. The current CCSP material focuses on moving existing on-premise security solutions, e.g. event monitoring (e.g. SIEM) and network monitoring (e.g. NIDS), to the cloud. As new and cloud-native products and concepts emerge, e.g. cloud access security brokers (CASB), or evolve, e.g. identity services, it will be challenging to keep the CCSP relevant and up-to-date. I was also glad to see an increasing focus on software development and application security. Automation is driving software to be written by non-developers and outside traditional security programs. This is another area that will likely become more important in the future. Note: At the time of writing, while I have passed the exam, I have not completed the checks and endorsement required to be awarded the certification. Sitting the exam requires the signing of an NDA so exam specifics are intentionally omitted. Many organizations adopt Agile development methodologies, or just Agile, for the right reasons. They want a software development methodology that welcomes change. They want something to give management better visibility on team progress and teams better visibility into the longer-term product plans. They want something to give motivated, competent individuals the opportunity to take more ownership and build value. However, many organizations adopt agile for the wrong reasons. 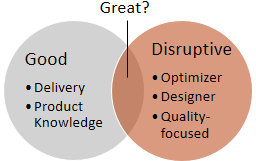 The bandwagon effect and general hype have made Agile a panacea. Unfortunately, Agile exacerbates many problems instead of fixing them. The biggest problem Agile exacerbates is lack of trust and respect. 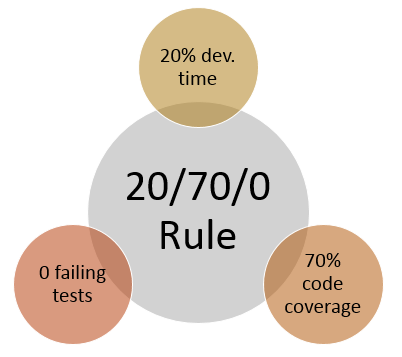 Management needs to trust software developers to estimate accurately, cooperate with other team members and ensure non-functional requirements are met, such as automated testing and performance/scalability. Team members need to trust management to not use Agile to push more work onto the team, not to blame the team for poor or late management decisions, not to use the increased visibility for performance management and to promptly address hurdles the team encounters. Agile only works if people are willing to change. For example, if software developers are unwilling to “waste” time on daily stand-ups, estimations, automated testing or code reviews then they are missing the point. While Agile, specifically Lean, allows decision making to be delayed to the last reasonable moment, decisions still must be made, communicated and supported. Poor communication makes Agile harder. Technical team members often have difficulty translating technical details into something the business can understand. Product owners, usually senior decision makers, often have many demands on their time and a team of software developers can be culturally easy to deprioritize. Remote team members, particularly in different time zones, make face-to-face communication harder. Technology can partially compensate, such as teleconferencing and Internet chat applications, but communication occurs as much in incidental conversations as it does in meetings. Agile requires customer involvement. Scrum, for example, has the product owner role where a customer is actively involved in the process by identifying and prioritizing work and being available and accountable. Agile emphasizes regular delivery of working software to customers. However, this works against the contractual nature of most outsourced software development. Some products, such as enterprise software, have six month or longer sales cycles and delivering software more frequently just burdens support. Some customers lack the expertise or desire to be actively involved. Successful agile requires an agile-capable customer. Successful agile also requires an agile-capable team. Not all team members are proactive, Kaizen-embracing go-getters. Some people are happy to be led. Frequent iterations and regular delivery require deep and broad technical skills that some individuals or teams may lack. Team members need to be focused on value, not solving technical problems. Without addressing these problems beforehand, Agile adoption causes a lot of pain and suffering. While the agile manifesto is easily read and understood, the underlying wisdom is less so. Agile is a tool that allows an organization hamstrung by poor process to excel. Otherwise, Agile is often blamed when the real cause is the underlying culture or structure. That said, Agile can be an effective organizational diagnostic tool. It shows problems that people often did not see or did not want to see. Therefore, it is important to clarify intentions and understanding before adopting Agile, as Inigo Montoya recommended. Blog post image is a modified version of the image by Froztbyte – Own work, CC BY-SA 3.0, https://commons.wikimedia.org/w/index.php?curid=1121735. Thanks to Adam LG Ring (@adamlgring) for the title. In traditional enterprise software, product managers represent the customer to software development teams. They draw on industry experience to propose and prioritize features, usually as the scrum product owner. They liaise between development and the rest of the business, particularly marketing and sales. 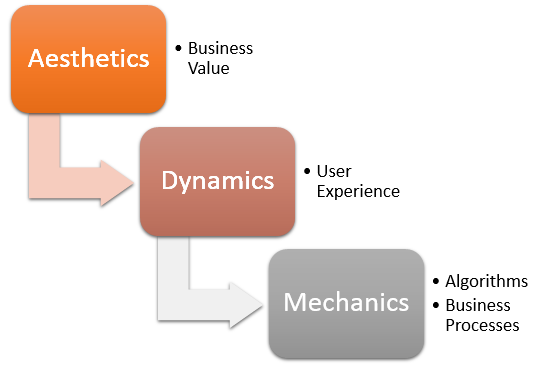 However the product management role has three main challenges. The first challenge is new business models, particularly the move from on premise software to the cloud. Cloud software presents increased non-functional challenges. For example, cloud systems are expected to scale up further than on premise software. The burden of service level agreements (SLAs), upgrades, patching and backup/restore is on the vendor and not the customer. Cloud systems are usually Internet accessible, missing the protection of an organization’s perimeter security measures like firewalls. Multi-tenant systems and resource pooling mean quality issues and downtime can affect many or all customers and not one. Where product management previously dictated product direction, product management now share responsibility with architects (enterprise, solution, infrastructure and application) and business analysts (responsible for internal business processes). While IT commoditization has made IT cheaper and more accessible, capable technical people are still required, albeit with a different skill set. The increasing emphasis on integration, such as exposing web service APIs to third parties, and multiple platforms, such as mobile and tablet, exacerbates this. However, this gives a product manager more opportunities. With the move from capital expenditure (initial purchase + support) to operational expenditure (monthly charge), many organizations are liberated from a fixed purchasing cycle. Unburdened by the three to six month customer upgrade period, releases can be as frequent as the development team can accommodate. Product managers can offload technical problems rather than shoulder the responsibility of the whole product. 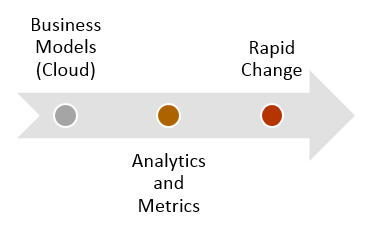 The second challenge confronting product management is the increasing use of analytics and metrics. Many industries, such as media, have been using analytics and metrics for some time but many traditional enterprise market segments are only now getting access to accurate usage information. For example, few organizations previously consented to on premise products sending usage data back to the vendor. Many product managers rely on experience or recent customer conversations to make decisions. However, the on-demand provisioning, self-service and customer customization (as opposed to vendor customization) aspects of cloud products reduce customer contact. Analytics and metrics can help fill this gap but it is a different type of customer relationship. Moreover, the quality and quantity of decision-impacting data is increasing. Tools and expertise to extract useful information are becoming cheaper and more prevalent. Intuition and experience are always useful but will be more focused to what metrics to gather and interpreting them. Decisions will have a grounding (or at least a rationalization) in data. Making a decision solely on a “gut feeling” will be less acceptable. Also note that good analytics and metrics can easily be applied to tactical problems like improving a user interface or prioritizing between two features based on actual use. It is harder to apply analytics and metrics to strategic questions like market direction or new product acceptance. This is where product management insight will be most valuable. Metrics also help mitigate the “squeaky wheel” effect, where vocal customers monopolize product management time and the product backlog. For example, it is easier for a product manager to dissuade a customer demanding improvements to a certain feature with evidence the feature is rarely used. The third challenge is the rapid change. Many product managers come from a business role. 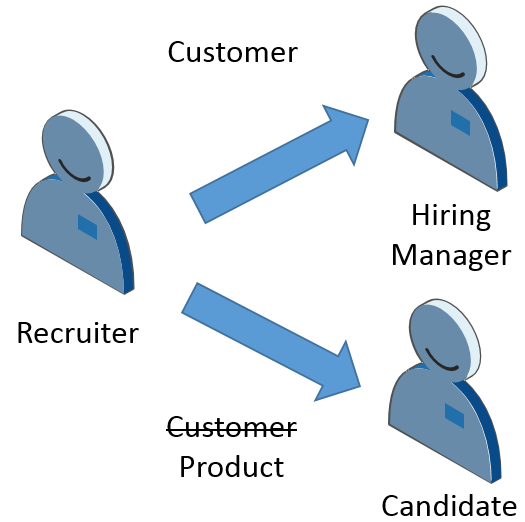 For example, an HR application product manager may previously been a manager in HR. Others have come from customer-facing technical roles like support, QA or sales engineering. Unfortunately, in some industries previous industry experience is quickly outdated. While product management’s customer-focused perspective is vital, being removed from the industry can quickly atrophy understanding of customer processes and priorities. Exposure to their own software product(s) and current organization threatens to limit their thinking to what is probable, not what is ideal. This is particularly important for product managers that come from customer-facing technical roles. They usually come to product management with specific product improvements in mind but, once these are in the product, may be at a loss. Instead, a product manager needs to build ways to learn and predict industry changes – developing a new feature often takes months and the feature must be competitive when it is released, not just today. This could be key customers, industry contacts, thought leaders, peers at competitors or industry press. Building personal relationships, such as at conferences and industry meet-ups, is crucial. Moreover, many information sources available to product management, like metrics or competitor analysis, are available to others in the software development team. It is these alternate information sources and relationships that will differentiate a good product manager. Product management can no longer horde this information. For example, architects need accurate customer usage predictions for scalability planning and infrastructure provisioning. Management needs to allocate staff. Operations needs to ensure they are looking for likely threats or issues. By the time these are included in a release’s requirements or a sale occurs, it may be too late. Hording assumes product managers are the only ones making strategic decisions. Product managers are often poor conduits for technical requirements, too. Meanwhile, product managers have less available time. They are dragged into sales opportunities to demonstrate or demand commitment, support calls to placate unhappy customers and marketing for feature commitments. Agile software development methodologies, like scrum, involve the product manager more frequently. This creates a “red queen” effect, where product managers spend a lot of their energy merely keeping pace with the industry, competition and own products. Product management has always been a challenging role – often all responsibility and no authority. While many technical people incorrectly equate product knowledge with industry knowledge, prior experience and a customer perspective are no longer sufficient to be a good product manager. Successful product managers will adapt to the new business models (e.g. cloud) and leverage the new tools (e.g. analytics and metrics) to be more effective. In the future, those that rely on outdated experience and intuition are likely to fail while those that learn and adapt quickly will succeed. Indeed, the end goal of product management is to impart customer perspective and industry knowledge. There will always be a place for a coordinating customer voice but it will lead by teaching, not a requirements document. Those involved in development should not need to consult product managers for every new feature or for a customer perspective – product management should have already taught them to think like a customer. Architect/stakeholder inversion occurs when non-technical stakeholders tell software architects how a system should work, not what it should do. Without the “what”, software architects are left trying to guess or reverse engineer it. The resulting system may not solve the customer problem or may bloat with features attempting to do so. 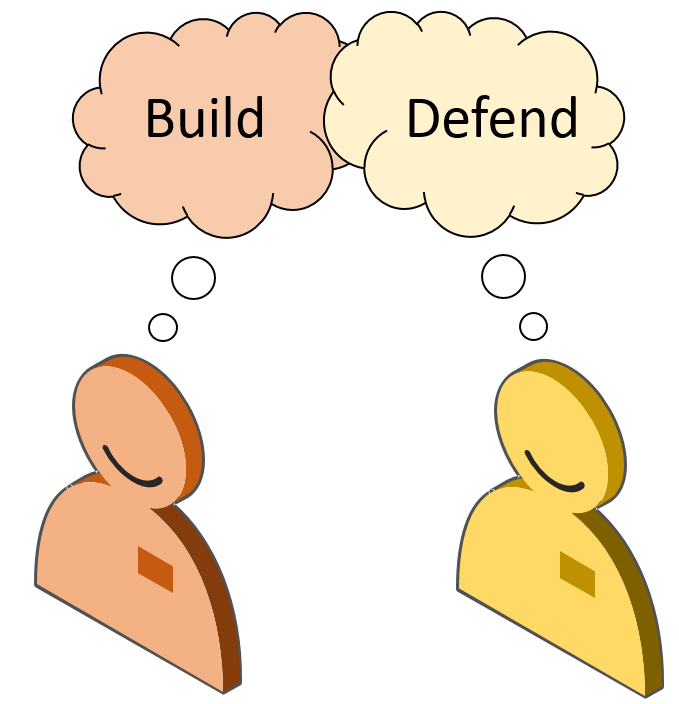 Architect/stakeholder inversion is not a stakeholder wanting to move a system into the cloud to reduce costs. It is not wanting a mobile app to reach a different, younger market or offer a better user experience. It is not marketing pushing for a better analytics tool. They have business justifications. Architect/stakeholder inversion is wanting two products integrated without saying what data to share or tasks to provide. It is creating a report engine without knowing the reports it will run. It is any framework created solely to handle nebulous requirements. Architect/stakeholder inversion occurs due to one of three reasons. First, non-technical stakeholders feel they need to give low-level, technical requirements. Usually a sign of inexperience or frustration, the stakeholder bypasses discussion with technical details. Alternatively, software developers may be used to implementing what they are told. This is common in environments with many ancillary roles (user experience, visual design, business analysis, copy writing, solution architecture, application architecture, agile coach, project manager, scrum master, team leader, etc) and stakeholders may take advantage of this. Second, stakeholders often make technical assumptions and present those assumptions as solutions. They may not even realize they made assumptions. Technical people may miss the business impacts of technical choices. However, non-technical stakeholders may miss technical impacts of business choices, too. For example, while the ongoing costs of moving to an “Infrastructure as a Service” (IaaS) or “Platform as a Service” (PaaS) provider may be lower, non-technical stakeholders may not consider the transition cost and impacts on compliance, security, jurisdiction, privacy, bandwidth and latency. The stakeholder might not have considered other benefits, such as elasticity (rapid scale up or scale down), built-in monitoring and management tools and cheap creation of test and staging environments, either. Stakeholders with technical backgrounds may exacerbate the problem. While the technical solution requested may be good, the business context is still needed. Software architects are part of the checks and balances for the business requirements and stakeholder technical knowledge does not negate this. Third, stakeholders may not yet know the business goals of the system. This may be driven by schedule (“We need to start coding now so that we will hit the deadline”), a misunderstanding of agile processes (“We will work it out as we go”) or a lack of preparation. Architect/stakeholder inversion is usually solved by highlighting assumptions or providing alternate solutions. Forming these into questions (“Have we considered doing X instead of Y?”) and prototypes/spikes are effective. However, if software architects are on a “need to know” basis, stakeholders set direction solely by intuition instead of evidence or stakeholders take offence at challenges or questions, there may be wider organizational problems. Architects and stakeholders should cooperate and respectfully challenge each other, providing greater understanding to both sides. Software architects can make better informed design decisions and glean insight into wider and future direction. The stakeholder can get a better understanding of and confidence in the solution. That said, there are no sides here. Both the stakeholders and architects are working toward the same goal. If the organization has appointed stakeholders and architects, it realizes the value of each. Architect/stakeholder inversion contradicts this and produces a lower quality product. Update: This post is featured in a discussion in the International Association of Software Architects (IASA) group on Linkedin. When I first looked for software development jobs after leaving university, most employers were looking for candidates with the right attitude, right aptitude and good marks. However, as the years passed and my positions were increasingly senior, I found employers wanted the right person for the role, not just someone with the right skills. Having recently left Symantec (where I spent almost 13 years), waded through the employment jungle (as one of my peers called it) and started a new job, I wanted to capture my experiences and observations. Hopefully this applies beyond just software architect and software development roles in Sydney, Australia. Recruiters are paid by employers so candidates are the product, not the customer. Recruiters are very interested in candidates while applying and going through interviews and work hard to sell positions to candidates and candidates to employers. Rejected candidates are rarely worth recruiters’ time (“no news” is generally “bad news”) while successful candidates are pursued, particularly for recurring contract roles. Recruiters find candidates for positions not positions for candidates. Candidates are responsible for finding their next job, not recruiters. Candidates need to market themselves (such as joining job search sites, talking to hiring managers, attending conferences and user groups), generate as many good leads as possible (such as applying for jobs and distributing their resume), following up the leads, understand the employer needs (such as emphasizing particular skills on a customized resume) then sell themselves in interviews. This process changes over time, as the candidate learns and the market changes, and recruiters and employment agencies are one part of the process. Start working toward the next job or promotion now, even for those happy with their current position. Why now? Because you cannot control when new job opportunities will arise or when your current position may end or change for the worse. Starting now means you will be prepared. Start networking with people that could help you find a job in the future, such as peers and managers within the industry or related industries. Many are put off by the time commitments others recommend but simply reaching out, getting contact details and occasionally (once every few months) commenting on a post or tweet is usually more than sufficient. Aim for mutually beneficial relationships but realize peoples’ needs change overtime. Beyond getting the next role, it also gives context across the industry, identifies the skill level of peers, the challenges they solve and gaps in your own skills. Create an online presence. It can be as simple as a LinkedIn profile that lists your employment history, important projects and key skills (and is a great way to keep your resume up-to-date). It can be as complex as a lengthy blog, strong social networking presence, a high Stack Overflow reputation and contributions to multiple open source projects. Start small, work up and do not be afraid to experiment. Some fear others will infer the worst from making achievements visible – Dunning-Kruger is rife in software development – but being able to answer an interview question thoroughly because it was the topic of your recent blog post or pointing to your project on Git Hub when asked about a library or framework is invaluable. Unless you are aiming for a thought leadership position, most people simply do not care enough to discover other’s mistakes and having a demonstrable history is better than not, all other things being equal. Some are deterred by the implicit pressure to maintain a blog or social networking activity. While thought leadership is may be best maintained by a steady stream of content, a different strategy is to post or blog fewer but better articles and content. A small number of insightful, relevant articles can be more useful than a regular stream of retweets, for example, because the articles show original work. This reduces the time commitment and interviewers will see better articles when they browse your content, too. Be open minded. What you think you need may not be what you actually need and the people you think you should be talking to may not be who you should actually be talking to. Talking to those outside software development can be insightful and there are always things to learn and different perspectives to respect. Do not neglect soft skills, either. Focus the resume. Customize it for the role to emphasize relevant skills. Write a cover letter but do not expect anyone to read it. Employers and interviewers come with their own preconceptions. They have their own backgrounds and experiences, their immediate need for a new hire and their vision of a suitable candidate for the role. 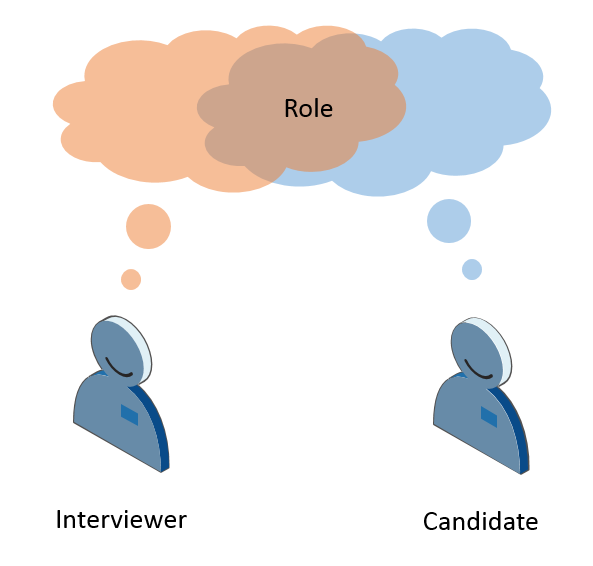 This leads many interviewers to grill the candidate about the candidate’s fit for the interviewer’s idea of the role, to see if the candidate “fits in the box”. The “box” approach works well for software development roles where the programming languages and frameworks are known but interviewer skills vary. Bad technical interviews fixate on minutiae under the misplaced assumption good software developers will have touched those areas. Good technical interviews involve writing code, explaining technical concepts or defending decisions. However, candidates with broad or unusual experiences may not easily fit the box, encouraging interviewers to label candidates (“Are you an X or Y? You cannot be both!”). Finding a candidate that fits a box is less successful the more senior the role gets, particularly for leadership roles like management and software architect positions, where strategic and broader thinking is required, because people the box approach prefers are less likely to have new ideas and different perspectives. Understanding the interview strategy can help the candidate identify the sincerity of the role. For example, is the role being advertised as a technical leadership role, like a software architect position, but they are conducting a “box” style interview? This hints at an impressive title being used to attract people for an otherwise straight coding job. Alternatively, a software development role containing lots of open questions may hint at a more senior role or a higher expected standard of candidate. Moreover, what many interviewers forget is interviews are as much about the interviewer as the candidate. Even without asking questions, the candidate learns about the types of problems the interviewer thinks are important, their priorities and the interviewer’s communication skills. Is the interviewer asking questions about challenges you are interested in or have experience with? Is it something you enjoy talking about? Are they happy with high level answers or do they want detail? How did they react to your last answer? Did they ask for clarification or move to the next question on the list? The usual recommendations about interview preparation apply. For software development and particularly software architect roles, understand your last few projects, the important design decisions and why they were made. Have scenarios prepared for behavioral questions on leadership, dealing with difficult stakeholders or working under pressure. Focus on the interviewer’s business first and talk about the candidate’s benefits at the end. Good questions for the interviewer include questions about how to be successful in this role and what challenges do they expect to face but do not be afraid to ask questions throughout they interview if they are relevant at the time. Much is written about things candidates can do to improve their chances of finding a job, like resume writing or interview practice. However, a key part is patience. All the hard work will help you if and only if the job you want is available – the Australian IT employment market hibernates over summer, for example. Some people often need a new job due to financial or other pressures and, by all means, adapt to the market’s needs but getting a new role does not have to be a question of choosing what to sacrifice. Be good at what you do, have faith in yourself and the jungle will not seem so bad.